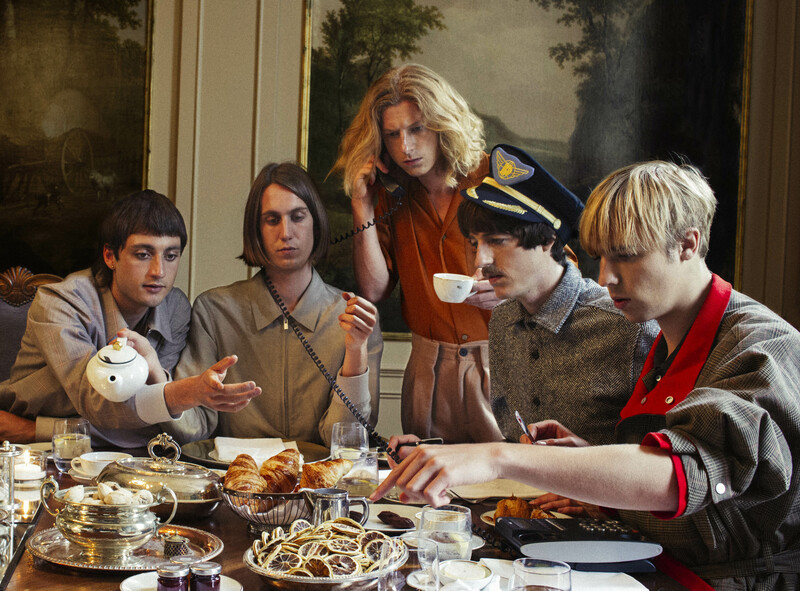 Sometimes the five packages are mistaken as a French band, ‘Par-sells’. Or as beachy surf bums. Or as the guys sent direct mail from the seventies. 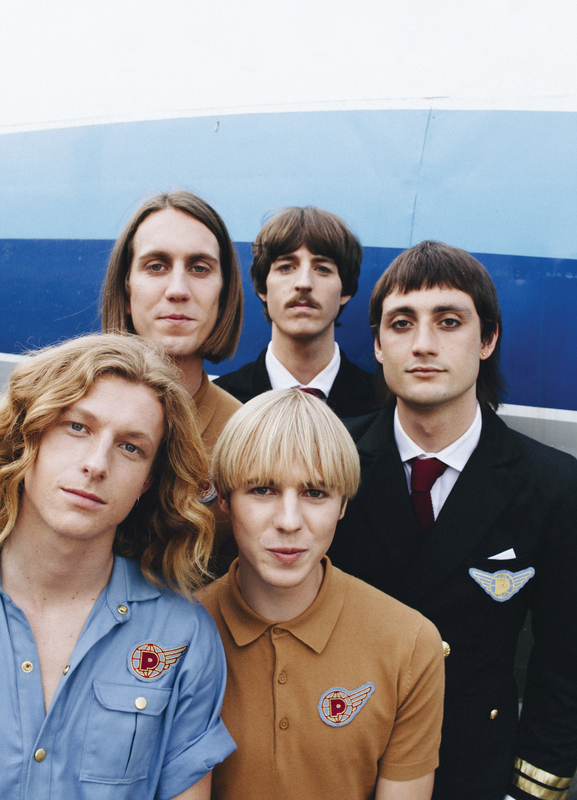 What the band Parcels are, considering we’re talking about their debut album, is a superlative still very much undefined. What we do know is that they’re very young, 21 to be precise. Jules Crommelin is on Guitar, Noah Hill the Bass, Louie Swain and Patrick Hetherington on the Keys and Synths, and Anatole Serret on Drums – everyone in harmonious vocals. 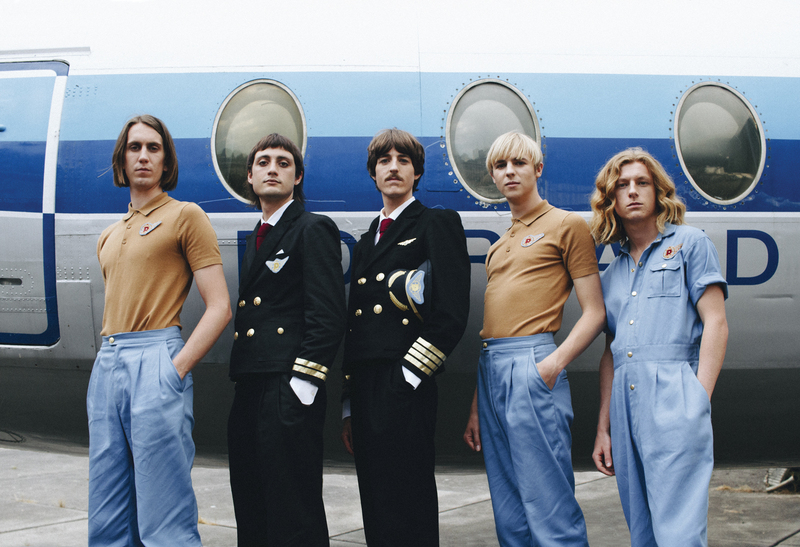 We can confirm that indeed they are Australian, deceptively not as beach going as the Beach Boys, and that they’re unusually committed, from their production to their visual world. Formed during high school from leftovers of other bands – hillbilly folk, heavy metal and a band called ‘Potato Potato’ – the odd bunch solidified their commitment to one another with the under financed and enthusiastically naive move to Berlin in the winter of 2015. One that had Anatole Serret sleeping above sacks of coal, Louie Swain calling his mum to learn how to clean, one significantly damaged rental property and all with whittled down pant sizes. The world has heard two EP’s Clockscared and Hideout and a single called Overnight, a very little amount of music for a band that plays to growing 15k crowds. They have something special, something tangibly ‘big band’ about them in an almost nostalgic, romantic sense. Most that see them play live, feel like they discovered something of their own. It is with this pressure that they sat down and wrote an album a year ago, and they wanted to do it traditionally, properly. “We wanted to throw in everything we’ve ever learnt from making music together, from previous bands, and to form a sound that we could call ours’’. The album takes two or three listens to get past it’s groovy licks and it’s uplifting, hip moving disco. On that third listen you’ll start to hear it’s very grown up complexity, a smorgasbord of influences, darker lyrical sentiments and an overall production value last seen three decades ago. Yes you can hear that they sat in a room with Daft Punk for some days, but you can also hear Exotica. On maybe the 6th listen you’ll hear some Dubstep. 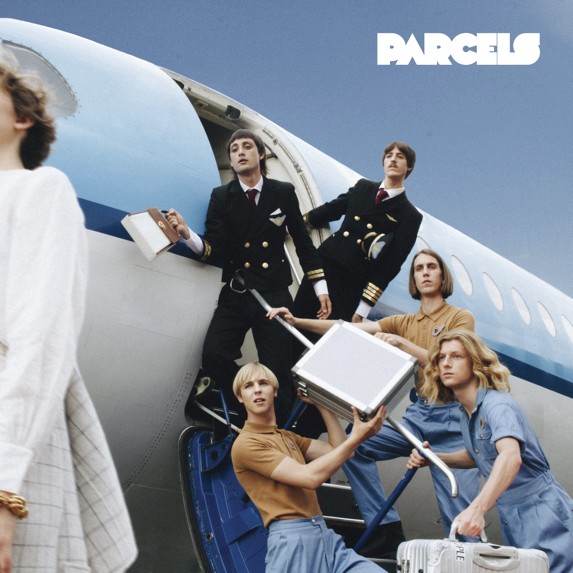 Parcels decided to self-produce the entire album, in true Parcels style, undertaking a monumental task with extremely minimal experience. “Producing the album was very important to us. We want to feel it’s ours, and we wanted to grow and learn from our mistakes. We are very proud to say though, it’s the first time we are happy with our result’’. They’re not the only ones with the feeling, we get the distinct inkling that this is one of those bands that only come around once every 30 years, much like their wardrobe.